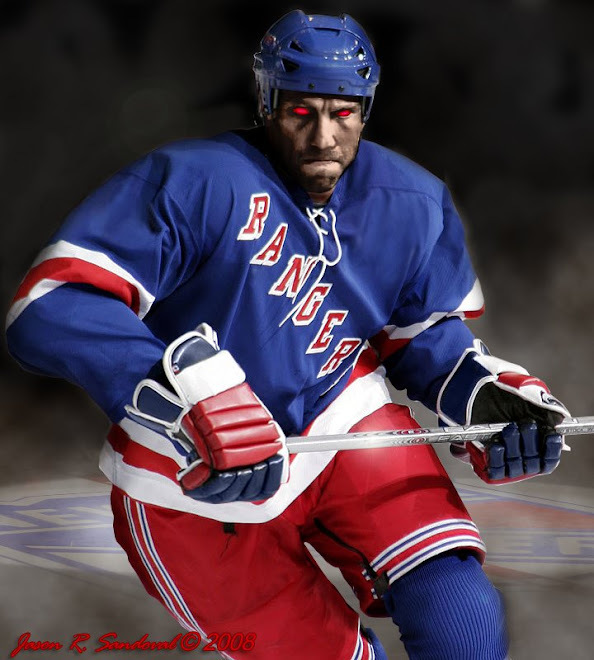 The Dark Ranger: Drury, Briere or Gomez - A New York Ranger? With trades happening as we sleep, there are plenty of rumors swirling around who will become a Blueshirt and hit training camp this August. Turns out that Chris Drury has always had a lifelong dream of playing in New York for the Rangers and now that free agency is at hand, rumors say that his wife is not comfortable with a move to the Big Apple and prefers more of a warmer climate team -- Los Angeles or (slightly cooler) San Jose' - more bang for the buck. The Dark Ranger thinks this is a horrible mistake, though being 'Dark' and all......I understand family rules! PREDICTION: Drury plays for the Kings beginning September. Daniel Briere is an unknown to The Dark Ranger. Buffalo will spend a lot of money to retain one of the two biggest Sabre free agents this summer, and even with the additional salary cap in the NHL this season, management will need it. PREDICTION: Briere will be second choice to Buffalo as they heavily weigh on keeping Drury. Drury will jump anyway, drive up a 3-year deal in LA and Buffalo is left with Briere - having to pay him more than they should. The New Jersey Devils may have a new arena in the heart of beautiful Newark, an easy train ride from Manhattan, a private walkway as to avoid any neighborly carjackings taking place below the train station, but aside from not having any attendance, they will not have their pride-and-joy career-Devil to open the 2007 season. Gomez is testing free agency. His family will never have to move. He will play to sold-out audiences every game. He will play for a winning team 2007-2008. Funny and ironic that everyone in free agency wants to be a New York Ranger!!!? Insert song here - I Love NY. Go Rangers. I find it hard to believe "Slightly Cooler" San jose when it's 95º here today. Good point on the temperature. The Dallas Stars probably think you're 'slightly cooler'.